Las/los invitamos a la presentación del libro “Transición y democracia en Paraguay (1989-2017)” de nuestra compañera Magdalena López, el 10/08 a las 19 hs., en Buenos Aires. La obra traza una línea de tiempo dinámica desde el inicio de la dictadura stronista hasta la quema del Senado en 2017, Analiza pormenorizadamente los recorridos socio-políticos, económicos, legales y electorales del país, sin perder de vista los debates para interpretar estos procesos. El libro combina reflexiones teóricas con descripciones históricas, desarrollando un aporte conceptual para estudiar el caso paraguayo. Debate las teorías de transición y de democracia a la luz de un caso latinoamericano, indagando los procesos que son específicos del país y aquellos que responden a climas regionales. 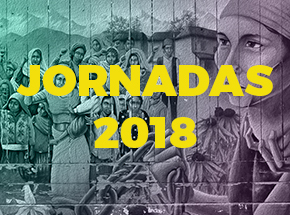 El Evento se desarrollará en la Facultad de Ciencias Sociales (Santiago del estero 1029), tercer piso, aula (SG) 310. La actividad es libre y abierta. great issues altogether, you just gained a new reader. What would you suggest about your post that you made some days in the past? Any certain? Thank you for another informative website. Where else could I get that type of information written in such a perfect way? I have a project that I am just now working on, and I have been on the look out for such info. Hey I am so delighted I found your web site, I really found you by accident, while I was looking on Yahoo for something else, Anyhow I am here now and would just like to say many thanks for a incredible post and a all round exciting blog (I also love the theme/design), I don’t have time to go through it all at the moment but I have bookmarked it and also added in your RSS feeds, so when I have time I will be back to read much more, Please do keep up the superb job. That is the precise weblog for anyone who wants to search out out about this topic. You understand a lot its nearly exhausting to argue with you (not that I really would want…HaHa). You definitely put a new spin on a topic thats been written about for years. Great stuff, just great! I’m extremely inspired together with your writing skills as smartly as with the format on your blog. Is that this a paid subject or did you customize it yourself? Anyway keep up the excellent high quality writing, it is rare to see a nice weblog like this one nowadays..
I’ve been exploring for a little bit for any high-quality articles or blog posts on this kind of area . Exploring in Yahoo I at last stumbled upon this website. Reading this info So i am happy to convey that I have a very good uncanny feeling I discovered just what I needed. I most certainly will make sure to do not forget this site and give it a look regularly. Thanks for your personal marvelous posting! I seriously enjoyed reading it, you can be a great author.I will be sure to bookmark your blog and may come back someday. I want to encourage you to definitely continue your great work, have a nice day! Does your blog have a contact page? I’m having problems locating it but, I’d like to send you an email. I’ve got some recommendations for your blog you might be interested in hearing. Either way, great blog and I look forward to seeing it improve over time. Thank you for every one of your labor on this blog. Ellie takes pleasure in managing internet research and it’s really obvious why. Almost all notice all about the lively ways you convey vital information by means of your web site and in addition foster response from other individuals about this content so our own girl is really studying so much. Take pleasure in the remaining portion of the new year. You are always conducting a stunning job. Greetings from Idaho! I’m bored to tears at work so I decided to browse your blog on my iphone during lunch break. I really like the knowledge you provide here and can’t wait to take a look when I get home. I’m shocked at how quick your blog loaded on my mobile .. I’m not even using WIFI, just 3G .. Anyways, good blog! fantastic submit, very informative. I’m wondering why the opposite experts of this sector don’t notice this. You must proceed your writing. I’m sure, you’ve a great readers’ base already! Generally I do not read post on blogs, however I would like to say that this write-up very pressured me to try and do so! Your writing style has been amazed me. Thanks, very great article. Thanks a lot for sharing this with all folks you really recognize what you are speaking about! Bookmarked. Kindly additionally consult with my web site =). We will have a hyperlink alternate arrangement between us! Do you have a spam issue on this website; I also am a blogger, and I was wanting to know your situation; many of us have created some nice methods and we are looking to trade techniques with others, be sure to shoot me an e-mail if interested. An interesting discussion is definitely worth comment. I think that you need to publish more on this subject matter, it might not be a taboo matter but usually people don’t speak about these topics. To the next! Many thanks!! Hi there! This is my first visit to your blog! We are a group of volunteers and starting a new project in a community in the same niche. Your blog provided us valuable information to work on. You have done a marvellous job! Hi there! I could have sworn I’ve been to this website before but after browsing through some of the post I realized it’s new to me. Anyhow, I’m definitely delighted I found it and I’ll be bookmarking and checking back often! whoah this weblog is wonderful i really like studying your posts. Keep up the great work! You know, lots of people are searching around for this information, you can help them greatly. I blog frequently and I truly thank you for your information. The article has truly peaked my interest. I am going to bookmark your website and keep checking for new information about once per week. I opted in for your Feed too. Spot on with this write-up, I really think this amazing site needs a great deal more attention. I’ll probably be back again to read through more, thanks for the info! Your style is so unique compared to other people I’ve read stuff from. Thank you for posting when you’ve got the opportunity, Guess I’ll just book mark this blog. a1yl2p We all speak a little about what you should talk about when is shows correspondence to because Maybe this has much more than one meaning. May I just say what a relief to find someone who actually knows what they’re talking about on the internet. You actually know how to bring an issue to light and make it important. A lot more people ought to read this and understand this side of the story. I was surprised you aren’t more popular since you certainly have the gift.